Barrett-Jackson’s upcoming 2017 Scottsdale sale has proven to be a real doozy for Corvette fans. America’s fiberglass coupe is well-represented, with rare examples ranging from a squad of SCCA-ready C4 ‘Vettes up to a one-of-one experimental GM test vehicle, CERV 1. 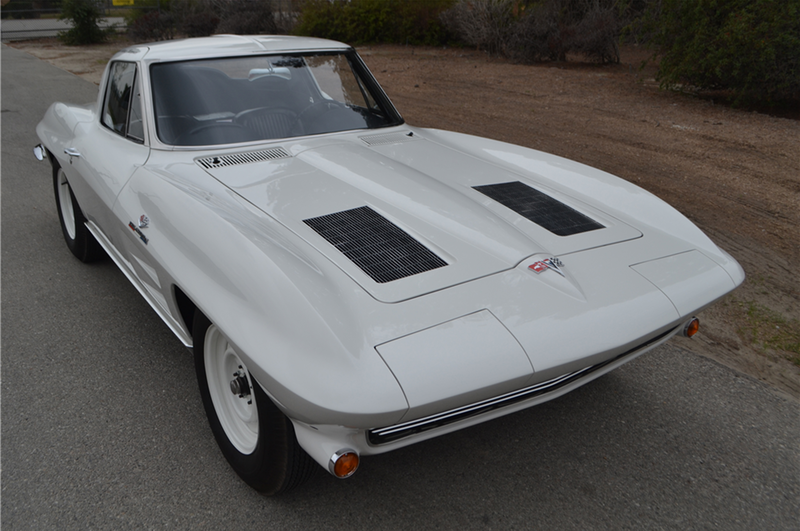 We’re still finding some seriously cool stuff, including a hype-desirable 1963 Chevrolet Corvette Z06 “Big Tank” originally owned by racing legend Mickey Thompson. This white C2 coupe exists as a perfect storm of rare performance options, period racing gear, and celebrity ownership coalesced into one package. The C2 Z06 is one of the rarest Corvettes ever created, designed as a way around GM’s factory ban on motorsports competition. The RPO code “Z06” was created for intrepid wanna-be racers to take delivery of a circuit-ready ‘Vette, straight from the factory floor. Each Z06 in ’63 arrived with uprated suspension components on all four corners, including larger diameter shocks, springs, and front anti-roll bar. A beefy brake package came standard as well, including dual master cylinders, high-spec brake lining, power-assisted drums, brake booster, and vents for extra airflow. 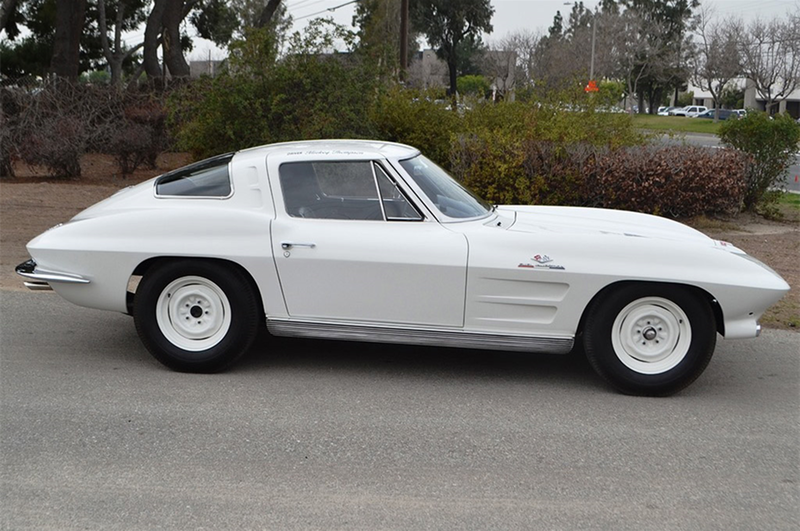 Crucially, a number of the ’63 Z06s, including this example, arrived with a massive 36-gallon tank for endurance racing. 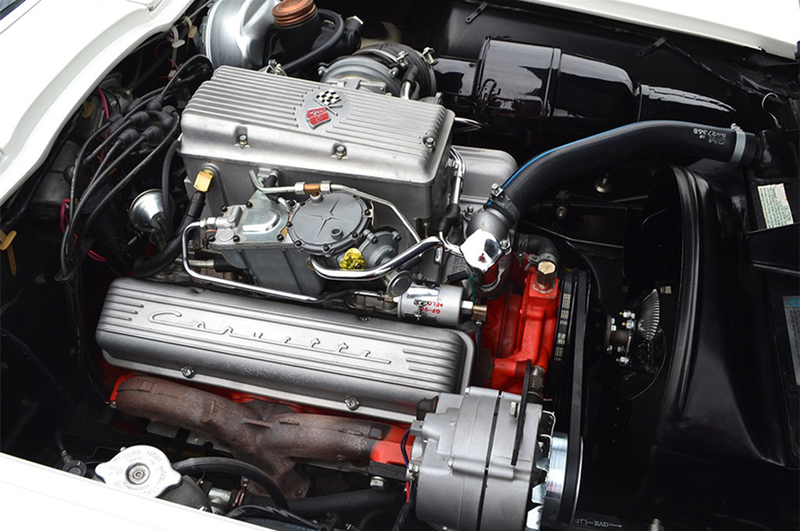 In 1962, Thompson took delivery of five fuel-injected C2 Z06s, prepping each one for competition. 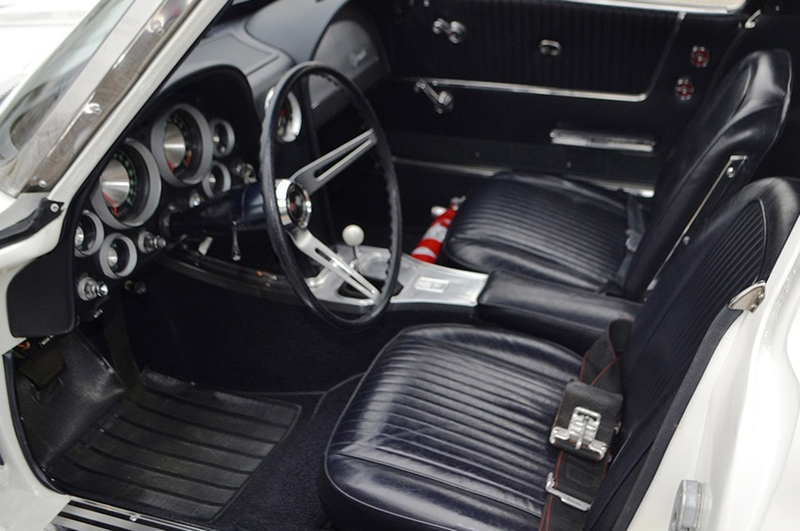 This car underwent a complete nut-and-bolt restoration, and is presented in spectacular condition. Under the front hood, a 5.3-liter (327 ci) fuel-injected V-8 pumped out an impressive 360 hp. This car served as Thompson’s daily runabout for a period of time, giving this car an incredible provenance. No word on how much this car will go for, but it won’t be cheap. Make sure to head over to Barrett-Jackson’s Scottsdale page for more information and the chance to submit a bid online.